Last edited by Kowy; Jun 27th, 2009 at 12:16. Another month has passed, time for some high Energy, just in time for the week-end. 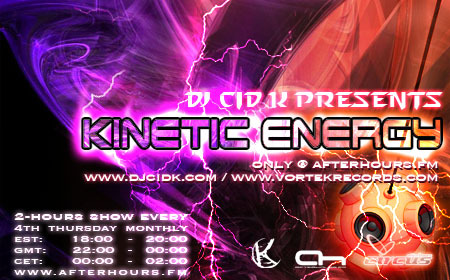 This month is a full 2 hours of Cid K. I will be listing the tracklist as the show goes by. Last edited by Cid K; Jun 26th, 2009 at 03:59. I am tuned in now! !